Clegg, the puppet on a string. Chortle. 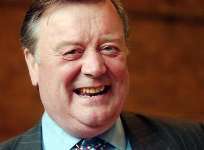 Ken Clarke, the Justice Secretary, has been praised at the TUC. Well, sort of. Colin Moses, the national chairman of the POA, the prison officers' union, has just said this. "It's an absolute disgrace that we had to wait for Thatcherites with brown suede shoes on tell us what was wrong with the justice system. That should have been told to us by the Labour government." Moses was referring to the speech Clarke gave earlier in the summer. That should further boost the Notts MP's popularity with the Tory Grassroots then. 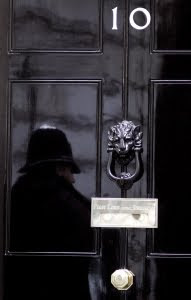 Downing Street was showing the unions an incongruous mix of disinterest and cordiality at Lobby briefing this morning. The PM’s spokesman said the Government wanted to “work with the unions” and “to get them round the table”, etc, etc, in dealing with spending cuts. But when it came to saying what that meant, details were so sparse that it was almost as if the Government was taking a backhanded swipe. He did mention however that Andrew Mitchell was speaking, not to the TUC Conference, but to a fringe event at the conference. It all left the lingering question – why is the International Development Secretary, a position mostly superfluous to union issues, the only minister anywhere near the unions’ main event. Apparently Cameron had turned down an invitation because he thought he’d still be on paternity leave. 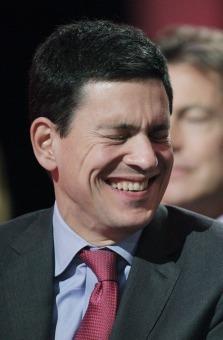 Then an invitation for Vince Cable to speak was “withdrawn” by the unions. When the PM’s spokesman was asked if there were going to be any other meetings with the unions between now and the spending review announcement (which would facilitate the ‘working with the unions’ thing) he simply said he didn’t know.